IBA Group has been developing master data and asset management systems, financial planning and analytics systems, electronic workflow, providing information security for oil and gas companies for 25 years. Among customers of IBA Group are OJSC “Gazprom Transgas Belarus”, PA “Belorusneft”, JSC “Bashneft”. Enterprise receives and analyses data on work of entities by 34 types of activity. 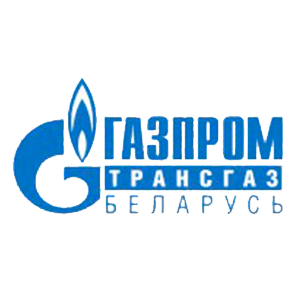 OJSC “Gazprom Transgas Belarus” optimized the turnover of stock and monetary assets, reduced operating costs for maintenance and repair, improved the tax administration processes. PA “Belorusneft” implemented Master Data Management Methodology and a customer-specific classifier of material master data. Enterprise reduced costs for master data management and accelerated data synchronization in systems. IBA Group considered planning and IFRS reporting process at the enterprise, automated loading and completing the initial data, developed processes, transformation and consolidation flows including currency conversion, readjustment within the company and other business processes. optimized monitoring the relevance of information, increased stability and reliability of gas transportation and storage by 4%. Fill out applications according to the actual expenditure instead of the current norms. Oversee the procurement process, monitor the reporting, reduce documentation errors and enhance the level of interaction with your suppliers. Easily determine any excess of emission limits and reduce miscalculations in the impact on the environment. We consolidate systems for distributed enterprises and implement localized solutions. We design corporate data warehouses, content management systems and supplier relationships. We develop budgeting, forecasting, master data and asset management systems. We develop digital twins, use 3D-visualization and Internet of Things technologies. We create Web-application with the use of WebGL based on Opensource-libraries. We integrate digital twins with external systems, for example, SAP Cloud Platform. We develop, support and update solutions and applications based on SAP, IBM, Oracle technologies. We develop solutions for business processes visualization, actually performed operations audit and risk identification. You automatically detect the deviations in business processes and receive recommendations for change and improvement. We develop solutions for supply chain visualization as well as routes and downtime for oil products transportation management. We respond to critical errors in 10 minutes and solve top priority problems in 2 hours. The development process is transparent. You receive progress reports on a regular basis. After project implementation, we educate your team to work with new system.